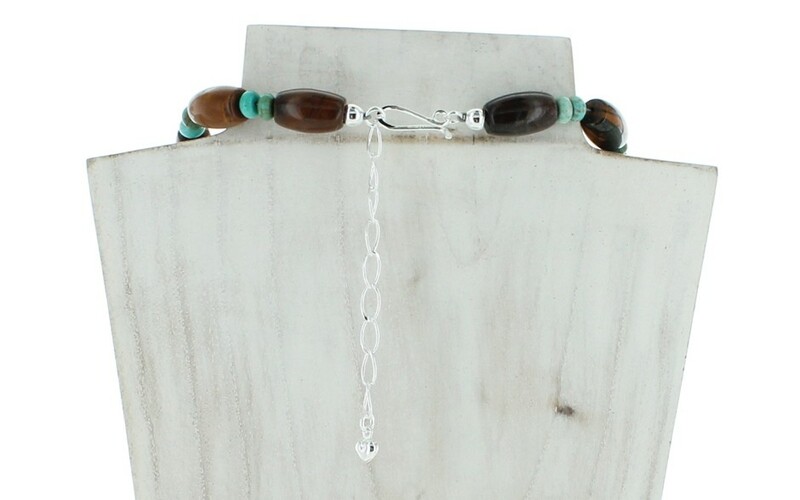 Brown, tan and rust colored Desert Sunset beads are cut into barrel shapes. In an alternating pattern, blue-green rondelles in Seven Peaks turquoise accent the strand for a rustic southwest color palette. The closure is our signature sterling silver hook and extender chain. 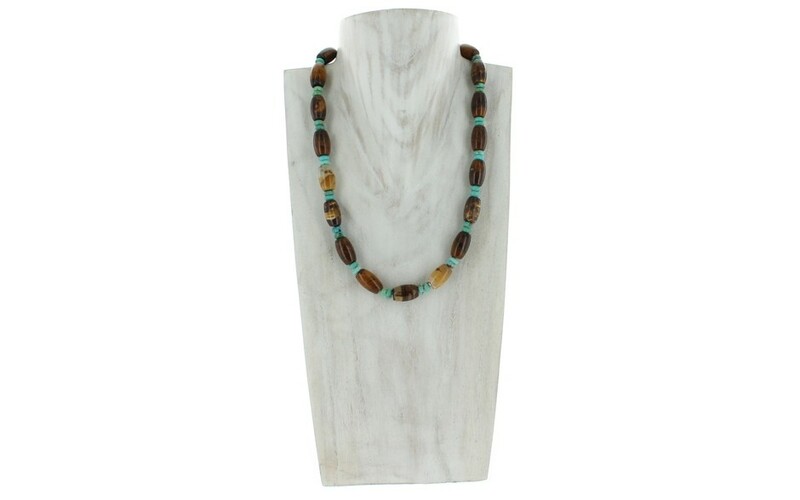 The Desert Sunset beads measure 10 x 16mm and the turquoise rondelles measure 6 x 3mm. 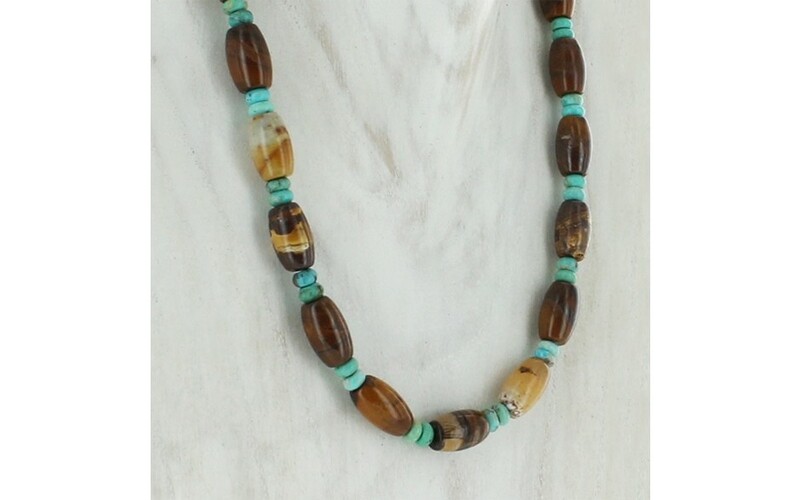 The Desert Sunset beads are natural without treatments and were mined in Australia. 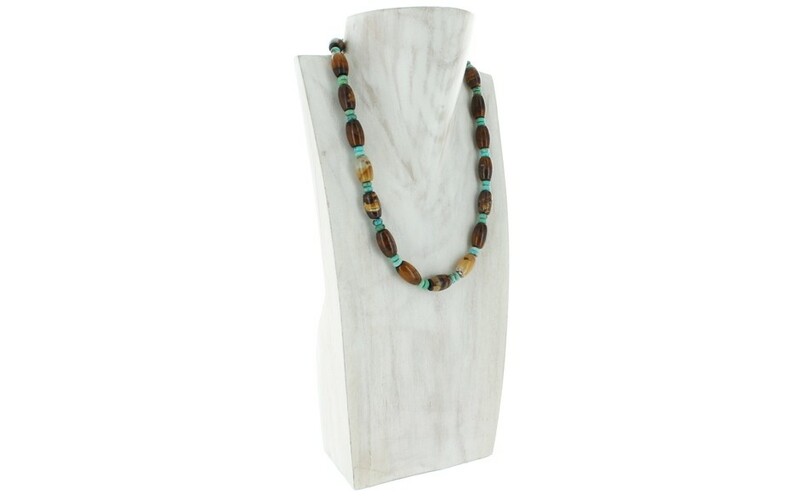 The stabilized turquoise was mined in China.